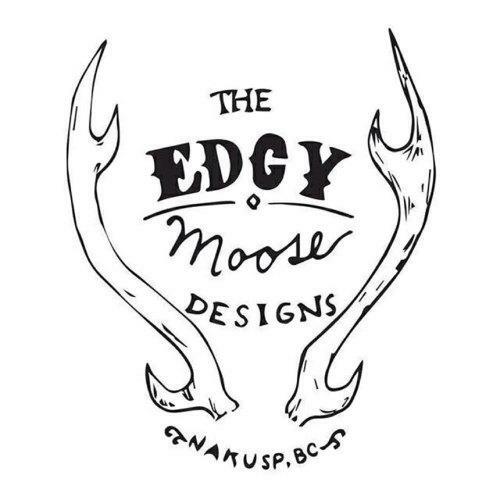 These unique and stylish organic cotton bowl covers are the creation of the very talented Rouve Hembling, founder of The Edgy Moose Designs. All the covers are designed by her, hand cut, made and printed from her home in the Kootenay Mountains of British Columbia, Canada. There are so many uses for these covers - how many times do you just need to cover something in the fridge, on the table, in a jar, over leftovers, at your picnic/barbecue to keep the bugs off breads or salads. Covering your dough to leave it to proof, etc etc! Not only do they have a multitude of practical uses, they are of course reusable and will last you for years. Beautiful to look at with happy uplifting slogans to make you smile - can you tell I am little bit in love with these covers! Here we have the Large cover which will stretch comfortably over a large bowl of 10"
Flamingo - slogan "Be a flamingo among the pigeons"
Mason - Fits a standard mason jar - or 3.5" bowls when stretched. Medium - 8.5" - 9"
Large - 10 - 10.5"
Extra Large - 12 - 12.5"